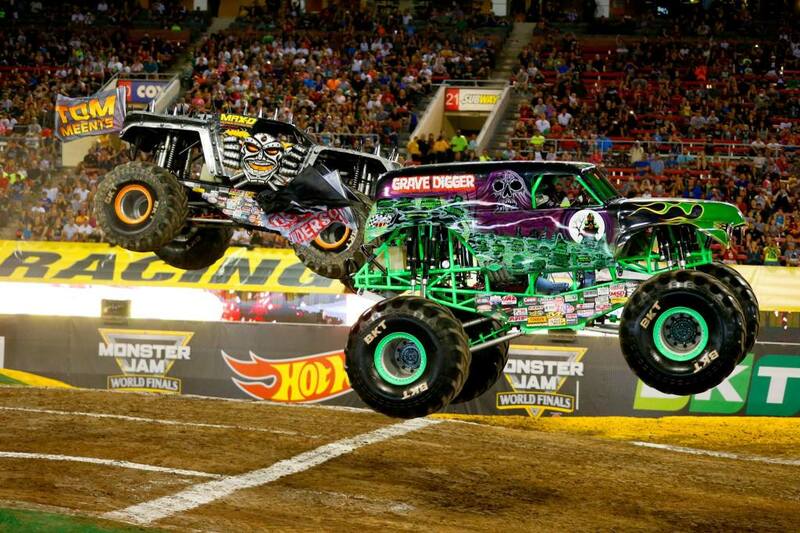 Washington D.C. (September 27, 2016) – Feld Entertainment Inc. announced today that tickets for Monster Jam Triple Threat Series presented by AMSOIL®, the most adrenaline charged motorsports experience for families on the planet, are now on sale. Monster Jam events are affordably priced for the whole family with seats starting at $15. Tickets are also available at www.ticketmaster.com and the Verizon Center box office. Saturday, January 28 @ 1:00 p.m. and 7:00 p.m.
Sunday, January 29 @ 1:00 p.m. The Pit Parties on Saturday, January 28 and Sunday, January 29 from 10:30 a.m. – 12:00 p.m. give fans the opportunity to meet the Monster Jam athletes and get up close to the Monster Jam trucks. Pit Passes are available for $10 at the arena box office, online at www.ticketmaster.com or Charge by Phone at 800-745-3000. Same day event ticket along with Pit Pass required for entry.